Last night I could not get to sleep, and I went looking for my favorite Maya Angelou quote. I found it, and others as well. They inspired and uplifted me, and I thought you might find the same thing. I love the way her words combine wisdom and poetry. “When someone shows you who they are believe them, the first time.” This is an important quote for me. At one point I had it posted several places in my house. I think I may do that again. "Never make someone a priority when all you are to them is an option." I love Dr. Angelou's words of wisdom about relationships! your attitude. Don’t complain.” This is the same idea as the Serenity Prayer, and I am a wholehearted believer. decide not to be reduced by them." "You alone are enough. You have nothing to prove to anybody." positive." I am such a believer in this -- positive thoughts and images in, and positive out. “You can’t use up creativity. The more you use, the more you have." are, to astonish a mean world with your acts of kindness." I love this quote. It has such power! 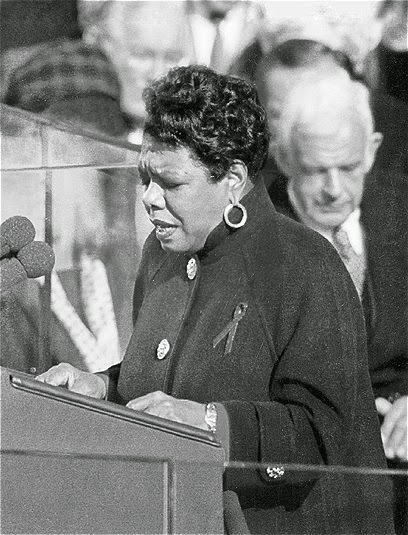 I have always found Maya Angelou so inspiring as a writer, a woman, and a person of faith. I would love to hear from you in the comments below - any thoughts on Dr. Angelou, favorite quotes by her? Wonderful group of quotes. Some of them are very inspiring, others give you something to think about. Thanks for sharing this info. Wow, those are really great. The last one is the one that speaks to me the loudest. Thanks for sharing! SHARING THIS RIGHT NOW because all to well people forget these things!!!! Maya knows what's UP! I am all about inspiring quotes! It keeps people motivated! Thanks for posting, Natalie. I like the creativity quote, too.